RockLove have announced a new wave of Star Trek jewellery releases to celebrate the 50th anniversary. The new range includes designs based on Starfleet deltas and Vulcan icons. Continue below to check them out. 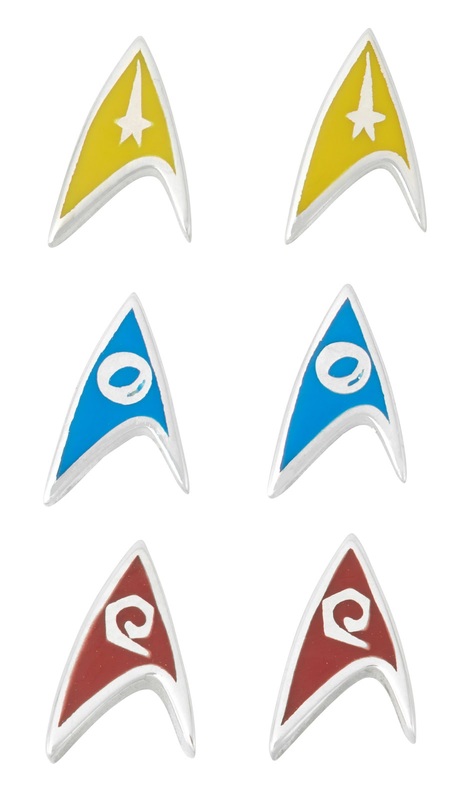 Perhaps the most eye-catching of the new collection are the silver pendant necklaces with colour enamel, one for each of the departments, command, science, and operations. The same style is also offered as earrings, again in yellow, blue, and red. 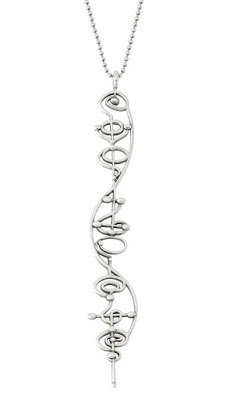 Delightfully ornate Vulcan script has been used to create another silver pendant necklace, which reads Kol-ut-shan (the Vulcan language version of "infinite diversity in infinite combinations"). 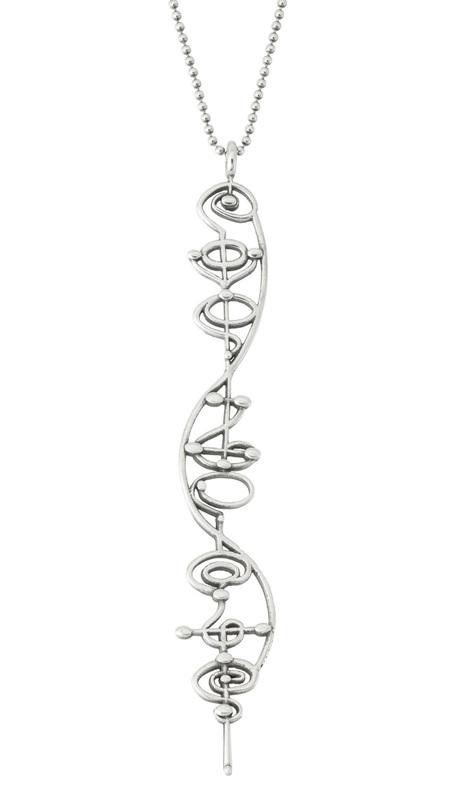 The IDIC symbol has also been cast in silver, this one with a cubic zirconia stone. The text of the quote is engraved on the back. Another set of delta necklaces, again in silver feature gemstones, yellow citrine, blue topaz, or red garnet. 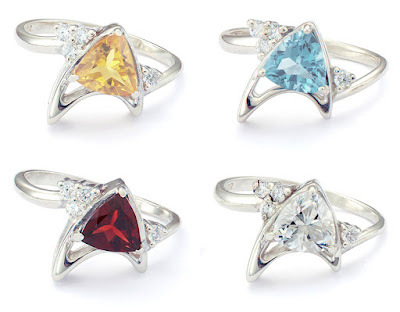 A fourth white cubic zirconia version will be a ThinkGeek exclusive (although that hasn't gone up for sale yet). 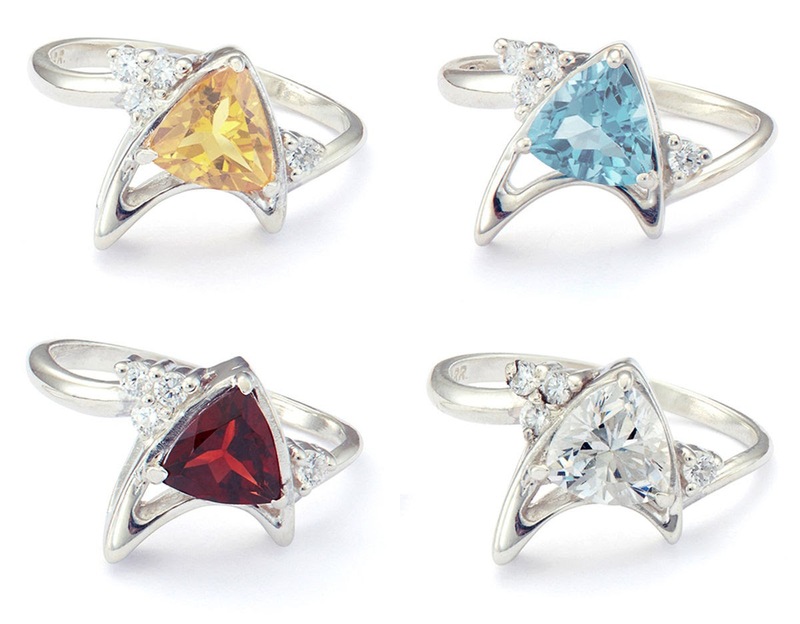 The same assortment in yellow, blue, red, and ThinkGeek exclusive white, will are also available as rings. 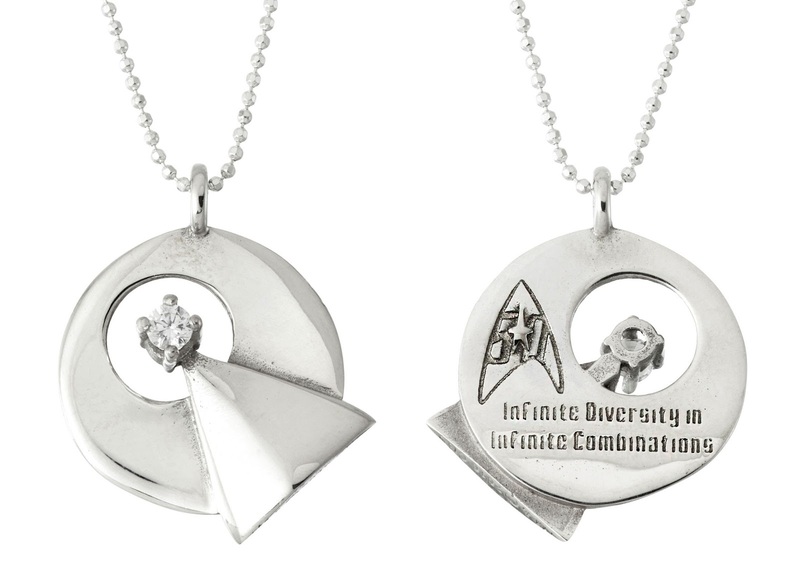 One further delta necklace was released earlier this year, exclusive to the Star Trek Shop. Silver again, this delta has a blackened interior. 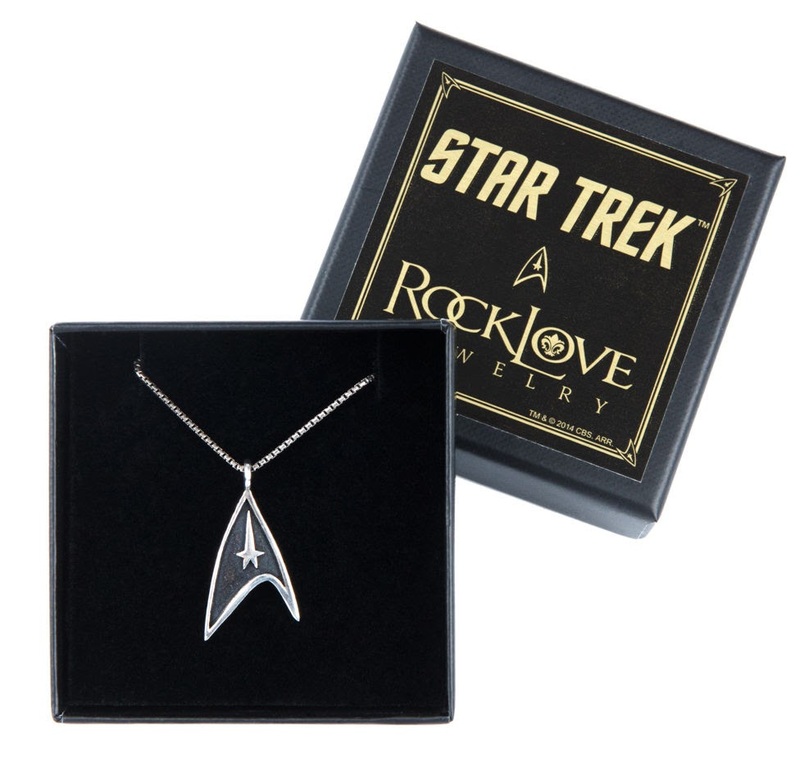 RockLove have been producing Star Trek jewellery since 2014, see my Trek Collective List for a look at all their previous releases.